When you talk about the 'Hand of God' among footballers, what quickly runs through their mind is Diego Maradona's first goal in the match between Argentina Vs England, played June 22, in the quarter finals of 1986 FIFA world Cup at Estadio Azteco in Mexico city. It was perhaps, the most controversial goal in football history. 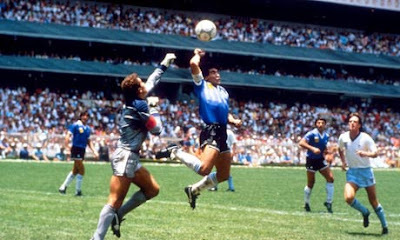 In which Maradona scored a goal by using his hand to hit the ball pass Peter Shilton. He should have been penalized for such glaring foul play, but both the Referee and his Linesmen didn't see it and it was awarded as goal for the Argentine. Several years after, Preachers and Inspirational speakers are beginning to interpret what rather looked like Diego Maradona's sarcastically response to Journalists questions, "I scored the goal with a little of my head and the hand of God." 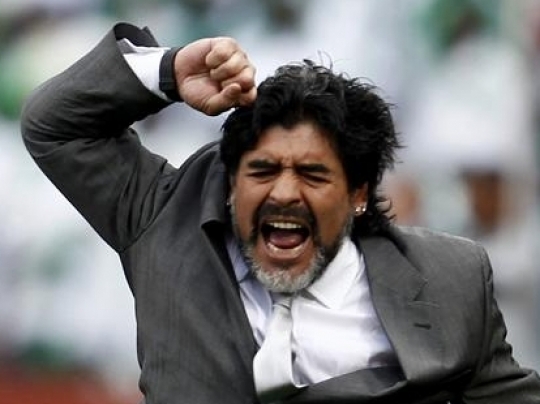 Though, Maradona was a great football iconoclast, but no one took his statement serious. Maybe because of his eccentric nature, Maradona is neither a spiritually minded person or was he usually sober enough to make sense. But among spiritually minded people, Maradona's statement had deep meaning. 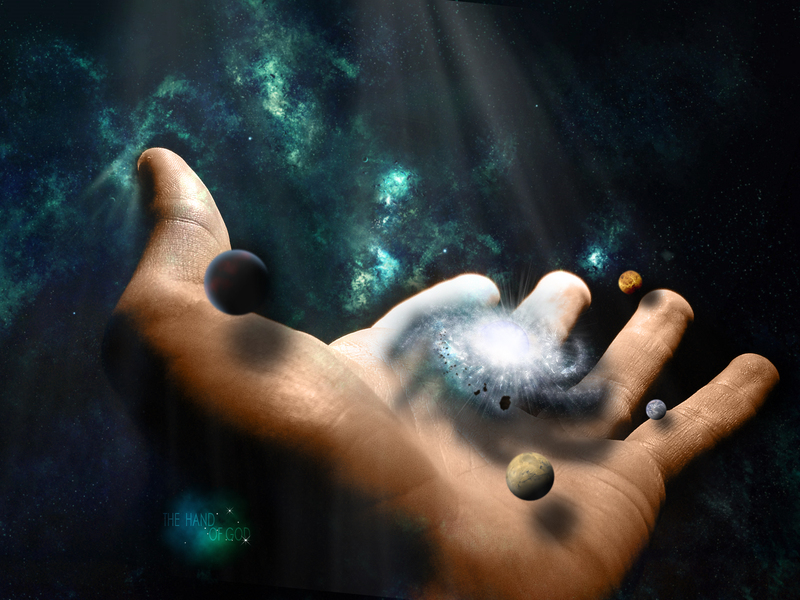 The 'hand of God' means that ‘favor factor!’ The supernatural interventions of God upon the life of a man that cause everything he does to stand out and out shine others. It is often used to describe God's grace upon the life of a Christian. Grace is the outward manifestation of God's favor (a spiritual influence) that causes a man to excel in all the affairs of life. Maradona may have, in his own way, referred to such grace upon his football career that made him succeed and outshine other footballers of his time. Perhaps, he may have specifically referred to that grace which covered or will I say blinded the referees from seeing the foul play. We may also recall that in that same match, Maradona scored a second goal in the 54th minute; which saw him dribble pass five England players, Beardsley, Reid, Butcher, Ferwick, Butcher (again) and finally goalkeeper, Peter Shilton.  In 2002, this was voted goal of the century by FIFA.com voters. Despite his controversial nature, Maradona was highly graced in his football career. This is why Christian folks defines 'grace' as unmerited favor. Many Players have sorted for this kind of supernatural elixir or influence in their football career. They knew at the highest level, you require something extra, more than just your natural talent or ability. Unfortunately, many are misguided to employ Voodoo or Juju, as it is called in Africa. But have found that that disappointing as well. Grace is more evident in the life and career of a Christian. When you get born again and receive the Holy Spirit, you also receive a measure of grace. The grace will cause you to do more than your natural ability if you are conscious of it in your life. You will be strengthened by the Holy spirit to do more in the field of play. He will also counsel you to make wise choices and take the right decisions for your football career. This is what you require today - the advantage of the Holy Spirit.